The common commands can be started from Windows Explorer using the shell extensions. This option is only available when Shell Extensions are installed. 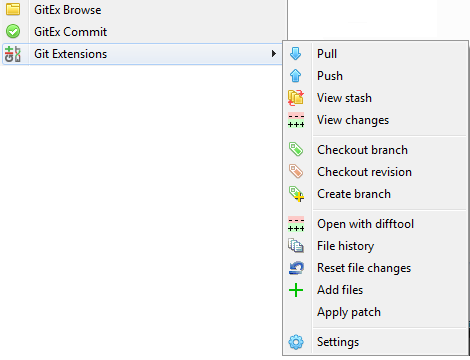 If the folder do not have a Git repository, you can clone.